when you purchase a Milwaukee Tick! 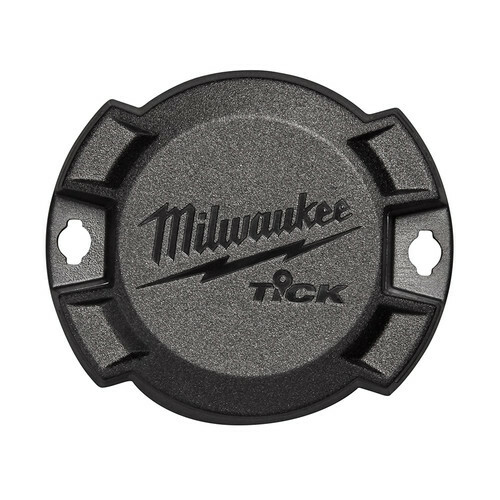 *Add the Milwaukee 48-21-2000 Tick to your cart and the free item will automatically be added. Limit 2 free items per customer. Offer valid until 11:59pm ET on April 30, 2019 or while supplies last. No adjustments to previous purchases. Subject to change without notice. This product is useless don’t like it and you waste your money it makes no sense. Think twice about "tick tracker"
Disappointing. An upgrade to the one key software caused my already registered tick to stop working and now it won't allow itself to be readded to the inventory saying it already belongs to an item which no longer exists. Often at several sites working through electrical and leave different ladders, so assists me know what's where, job A or B, shop etc. When something comes up and I need a ladder for something else I usually know where to find it. I have only just started using this item. So far, it?s been great. It tracks items very accurately. IF SOMEONE TAKES THE TOOL HOME CAN I TRACK IT? So this is not a true GPS-type tracker. It is not stand-alone more than 100 ft from your phone or another Tick, correct? BEST ANSWER: Your question will be best answered by the manufacturer, who can provide you with the technical information. The number to reach them is 800-729-3878 or online at milwaukeetools.com. What is the useable distance this is good for?